Published May 1, 2013 at 2319 × 1767 in Samples of Our Work: Paintings. Cracks were filled with an inert pigment to lessen their appearance. 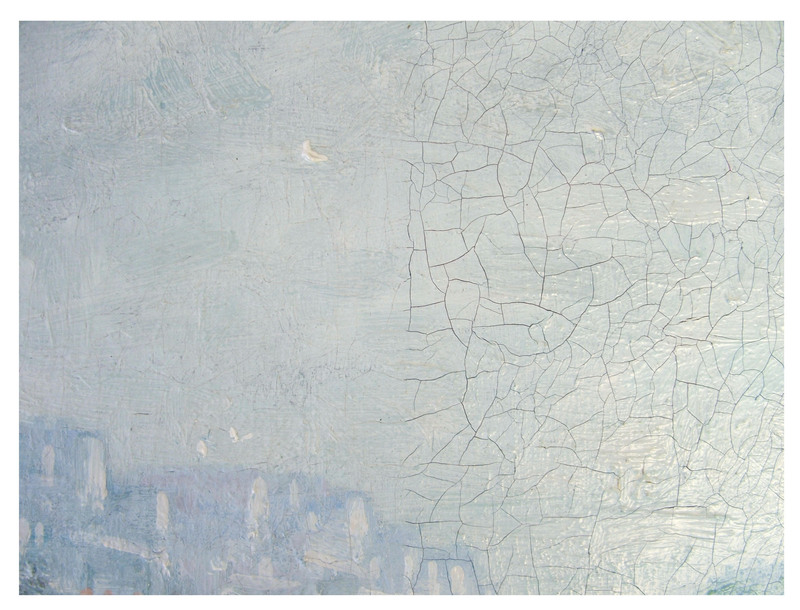 This photo shows a detail of the painting during treatment (cracks on the left side have been filled).